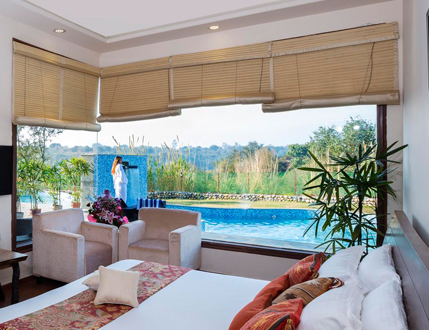 The Pool Suites are perfect for a luxurious and romantic stay for a couple. 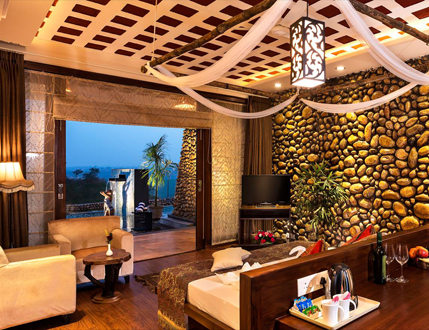 These lavishly adorned rooms have their own private pool and patio, set in lush surroundings, making them the perfect spot for enjoying beautiful sunsets or sunrises. 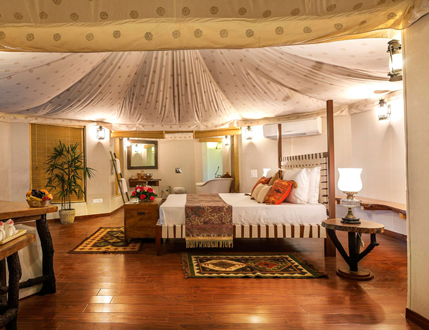 The suite includes a separate living room, which are beautifully furnished and are also spacious enough to accommodate extra beds for a family.